Such an unfortunate “weighty” title for such a wonderful little book for all of life’s disappointments–the major traumas AND the daily blows. Don’t get scared by the word “Buddhist” in the title. Yes, Lodro is a Buddhist. But, frankly, he just may become the compassionate healer of our time. He’s witty, vulnerable, real, and exudes generosity and empathy. If you’re familiar with Pema Chodron, look to Lodro to carry forward the Shambhala voice to the masses as Pema continues to age–he’s just that good. And just that dear. 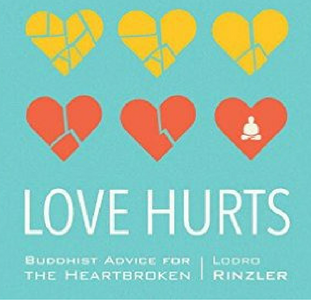 Expect a lot of affirmation for your pain in this book. Lodro’s been through a few things himself. He knows pain, and he’s effective at acknowledging yours in a way that feels personal. If this isn’t just plain ‘ol life, I don’t know what is. Lodro is a remarkable human being. If you’re hurting, let him hold your heart in his–because that’s exactly how you’ll feel when you read this tiny jewel.